Former Tottenham boss Andre Villas-Boas has had his say on Harry Kane and how long he believes he will potentially stay with Spurs for. The 24-year-old has bagged 134 goals in 201 appearances for the club, establishing himself as one of the most prolific forwards in Europe in recent years. Kane has hit 30 or more goals in three of the last four campaigns, but that hasn’t translated into trophies for the club as they’ve continued to fall short despite making real progress under Mauricio Pochettino. 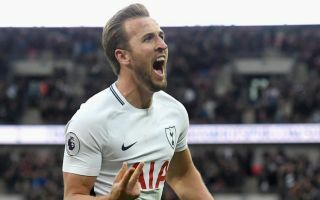 Villas-Boas was in charge as Kane was making his breakthrough, and while he now suggests that the England international should stay where he is for another year or two, he has also argued that he’ll have to leave if he wants to major honours. “It depends on Harry and his ambitions for the future and how he sees his career going forward,” he is quoted as saying by The Express. Naturally, having come through the youth ranks to emerge as a firm fans favourite, the Spurs faithful will be desperate to see their talismanic forward remain at the club. With a new stadium on the way, it wouldn’t be a surprise to see him wait for that at the very least, something that Villas-Boas expects too, as per the report. Nevertheless, it’s actually difficult to disagree with his assessment of Kane’s situation. The longer the wait goes on for major trophies, the more likely it is that he will begin to feel frustrated that his quality isn’t being rewarded and that possibly a move away from Tottenham is in order to realise his ambitions. Pochettino and Co. will undoubtedly be desperate to show that they can offer him that in north London, but their progression will speak for itself.